The historical name “cryptocurrency” was carried over by Bitcoin, sometimes referred as “digital gold”. The “currency” suffix is a misleading term for traditional investors as lots of projects in digital cryptography serve a broader purpose than being a currency. 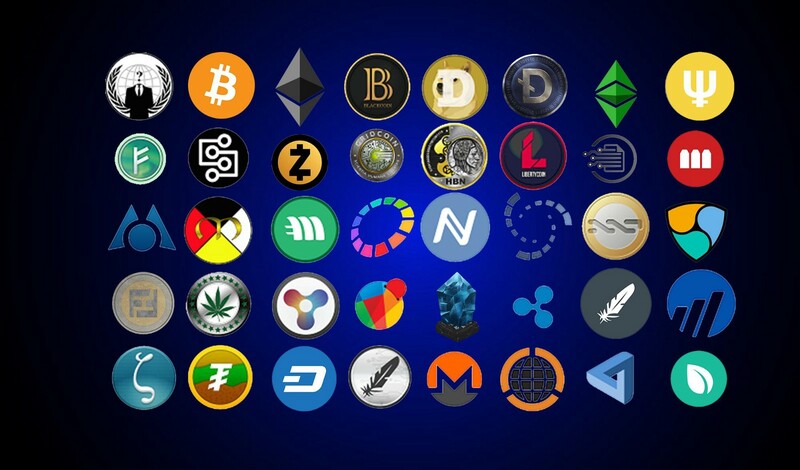 As a result, the term “Crypto-Assets” is preferred, giving a better understanding of this industry’s landscape and of its possible evolutions in the future. Within the crypto-assets realm, we want to highlight 4 sub-classes based on potential usage: Currencies, Network Value Assets, Utility Tokens and Non-Fungible Assets. For each sub-class, different value propositions can be defined and different valuation methods are required. Our current classification of the sub-asset classes is not a closed list, and some crypto-assets can be considered into multiple categories at the same time depending on one’s investment strategy or point of view. Due to the fast-moving nature of Blockchain, or Distributed Ledger Technology ecosystems, emerging solutions and new technologies can appear and may result in a new sub-class definition. Each sub-class serves a specific purpose, and the valuation of Blockchain-related projects requires different methods. Where for bonds or stocks value can be appraised by estimating expected future cash flows and risks , a crypto-asset valuation will depend on multiple factors like the stability of the value vs. a fiat pairing, the speed or cost of a transaction, the utility value (usage value), the rarity and monetary policy, or even the value of the network as a platform for supporting other projects. What the mass media calls cryptocurrencies is today an ecosystem of thousands of projects whose total valuation is around $270b at the moment (April 2018, public projects listed on www.coinmarketcap.com). To measure such value, the most common metric is “Market Capitalization”, which in the case of a project using a cryptocurrency is the sum of the value of each “coin” or “token” multiplied by the number of tokens in circulation. The “public” nature of these projects implies here that the cryptocurrencies behind these are publicly tradable (buy/sell) on crypto-exchanges or over-the-counter. Bitcoin, the most famous Blockchain, is designed to be a decentralized storage of value for electronic cash allowing peer-to-peer transfers relying on a non-inflationary system (limited supply of Bitcoins by design, controlled release via mining algorithms adapting difficulty with time and network computing power, low fees, public ledger). With such attributes Bitcoin took the historical naming of cryptocurrency and transferred over this denomination to all crypto-assets. Nevertheless, since the creation of next-generation Blockchain platforms like Ethereum, other functions for Blockchains appeared, unlocking new use-cases and value propositions, and making the cryptocurrency naming obsolete. 2. Network value assets (NVA). Each sub-class has its own properties and use cases, like Bonds, Stocks or Credit Default Swaps have on the traditional financial markets. Interestingly, we’ll see later that some tokens can also belong to multiple classes at the same time, increasing the already complex framework of valuating these new asset-classes. Traditionally, currencies have 3 roles: means of exchange, store of value, and unit of account. Bitcoin can be considered as a service, in the form of a distributed ledger of account for a store of value, allowing a medium of exchange in a common unit of account. The ledger is maintained by a network of nodes (on the Internet) that validates transactions and portfolio levels. The network reaches consensus on which transaction is real (not forged) via specific algorithms, thus removing the need for a centralized trusted 3rd party. Bitcoin became famous thanks to a simple and clear value proposition: absence of 3rd party validation, resistance to censorship (immutable transactions) and impossibility for Bitcoins to be seized by a central authority (unless they steal the private keys of an owner). Designed with a limited quantity of coins (supply), Bitcoin is sometimes called “digital gold”, and became a weapon of choice for speculative investors in the recent years. Bitcoin transactions are stored on a public ledger by design: anybody can read the ledger and see who sent what to who, and when. This low-level of anonymity , and some other characteristics of Bitcoin have been perceived as constraints by some in search for a better crypto-currency. Anonymity of transactions: the project Monero proposes a solution that scrambles the transaction contents and prevents people from reading the public ledger to find who send what to who. Speed of transfer: 10 minutes can be too long. A bitcoin block (data containing transactions) is validated every 10 minutes on average (difficulty adjusts every 2016 blocks to keep this 10 minutes period consistent over time). Reality is often 1 to 2 hours for a Bitcoin transaction to complete, and sometimes, especially a surge in the number of transactions challenges the network’s computing power, sending Bitcoins can take more than 6 hours. If these timings are already great to manage foreign remittances, some banks may want to rely on Blockchain technology to allow almost instant transactions. This is the goal of the project Ripple (XRP), which is using a Blockchain that allows very fast transfers solutions (within seconds). As a result, the XRP coin is gradually becoming a solution of choice for some institutions to transfer money internationally. Cost of transaction, network congestion: Bitcoin transactions numbers skyrocketed around December 2017, resulting in network congestion and slow transaction times. As the miners were prioritizing transactions with the highest fees, costs for transferring Bitcoins reached $30 per transfer. A lot of users were therefore using a cheaper alternative, Litecoin, a Bitcoin forkwho shares a historical part of its ledger with Bitcoin but runs with different parameters. According to its creator Charlie Lee, the initial idea behind Litecoin was to create “another highway when the Bitcoin road is clogged”. Mining power centralization: Decentralized by design, centralized by the numbers. Today, Bitcoin mining is considered highly centralized, most of the computing power belongs to a few massive specialized mining farms using specialized ASIC miners dedicated for Bitcoin. Vertcoin proposes an ASIC-resistant algorithm designed to resist custom mining hardware and allow mining for the masses. Basically, their solution aims at ensuring a maximum decentralization of mining resources, because everybody can dedicate CPU power to participate to the network. The value of these currencies increased significantly in the last 3 years. Volatility of bitcoin is comparable to some Emerging Markets Currencies. When Vitalik Buterin created Ethereum, he opened a new path in crypto assets, introducing a new class in what was still mistakenly called a crypto-currency: Network Value Assets(NVA). Holding these assets is similar to holding a part of the network on which they run. The Typical NVA is a “platform” running on its dedicated Blockchain. The Blockchain can run what is called smart-contracts that allow the self-execution of code on the network, execution which cannot be tampered with. One feature of these platforms is the ability to create “tokens”, other crypto-assets that do not require their own dedicated Blockchain (network of nodes, energy, miners). These tokens live by executing smart-contracts (transactions) on the main network to serve their purpose. The computing power running the main Blockchain is used to validate the transactions relative to these tokens: typically, in the case of Ethereum, if you transfer some Ethereum native token from a wallet to another, you will remain on the Ethereum Blockchain and pay a fee in ETH, the native currency of Ethereum. Ethereum is new and complex to comprehend and the experience of creating a token can be difficult. Dan Larimer created the Bitshares platform with a focus on the user experience, making it simple and easy to create and trade any type of token on the open-ledger interface. In 2017, Travis Wright and Joel Comm, hosts of the famous “Bad Crypto” Podcast, experimented and created the 1st podcast-related cryptocurrency using Bitshares, the BADcoin. Since then, they started distributing the tokens to their audience with the purpose of educating them about cryptocurrencies. Solidity, the smart contract language for Ethereum requires new programming skills. It’s novelty and open-source nature makes it prone to be hacked as the whole ecosystem is still learning to master smart contracts. NEO, often called “the Chinese Ethereum” proposes not only a “local” solution for the Chinese market, but also allows programmers to code smart contracts in more common programming languages like C#, Java or Python. NEO also takes a “Proof of Stake” approach for the network participants rewards and proposes a unique business model separating the Network-Value-Asset (NEO) and the monetary unit used to pay for services on the chain (GAS). EOS launched in 2017, is directly aiming at Ethereum (EOS standing for “Ethereum on Steroids”) and is making the promise to solve all the aforementioned issues. Many other projects are taking their own approach in order to make a better value proposition for a Network Value Asset: Cardano (ADA) proposes a new Puluslanguage that is supposed to be more resistant to hacks than Ethereum’s Solidity; and Skycoin (SKY), a project piloted by early Bitcoin developers, is using a non-CPU-intensive algorithm, allowing people to participate to the network and run services on their Blockchain ecosystem using low-cost nodes made of Orange-Pi micro-computers. The aforementioned platforms allow anybody to create specific crypto-assets (tokens) without having to design, build and manage a full Blockchain: as a result, these tokens quickly became the very vast majority of crypto-assets. They generally serve a very specific use case, that is why we give them the sub-class name of Utility Token. OmiseGo (OMG), is valuated $1.8b. This Ethereun Token (ERC20) is aiming to be a decentralized exchange protocol, allowing transactions to occur between different Ethereum-based Decentralized Apps, thus replacing banks: “unbanking the banked[AL20] ”. WePower (PWR) proposing to use their token as mean of exchange for green energy markets weights $40M. For example, Wanchain (WAN) Bancor (BNT), Quant.Network (QNT), 0x protocol (ZRX) aim at creating new services for blockchains, from securing liquidity on markets to enabling innovative cross-chain services. Smaller but noticeable, Crowdholding (YUP) is not yet valuated. It is used as a reward a platform for bounty programs pushed by crypto-startups and will also soon be allowing the micro-financing of projects a la kickstarter. FIC (FIC) is a new project that will propose tokens to offer fixed income solutions like “bonds on the blockchain”, pushing the “be your own bank” motto of Bitcoin into a new realm: “be your own financial institution”. Today we count more than a 5000 of these Utility tokens. A vast majority is not even listed on reference sites like www.coinmarketcap.com and new ones are created every day. A new class emerged recently with the game CryptoKitties: using digital signatures, some tokens have the ability to be unique. This opened a new realm for “crypto-collectibles” with future applications ranging from card-collections (anti-fraud for Magic the Gathering for instance) to Collection games (CryptoKitties) and Unique signatures (crypto-autographs…). The standard “VC” way of estimating the valuation of a startup , ie. measuring the size of a market and the ability for a team to seize market-share and make profit on is only the first step when valuating crypto-assets. Equity valuation uses metrics like the ability for a company to generate future profits in the next years. For Crypto-assets, one key element lies in what we call “tokenomics”. Tokenomics are the economic construction allowing a crypto-asset to capture and redistribute the value created by its enterprise. Ripple (XRP) is a currency offering very fast transactions: in a sense, even if running on its own chain, it can also be perceived as a utility token for transferring other assets very quickly: its unitary price does not matter, you simply buy the amount needed for the transaction and switch to the destination currency after. Stellar (XLM), now allows users to create tokens on the chain. Vechain (VEN) (Being rebranded VET at the time of this writing) is now migrating from Ethereum to its own Blockchain; and the team is developing proprietary smart contracts that will be powered by a new utility token called THOR. Now that we outlined 4 sub-classes of crypto-assets, we need to build tools to measure the value they can create and retain from their alma mater enterprise. In a future article, we’ll analyze how these different crypto-asset classes require different methods of valuation, and where the “monetary equation” (PQ=MV) shows its limits. P.S. : Special Thanks to Ashley Lannquist for her valuable help and sharp review of the document.